The Eternal City has its first female mayor in its almost 2,800-year history after a 37-year-old lawyer from an anti-establishment party won a landslide victory in the Italian capital. Virginia Raggi of the Five Star Movement, or M5S, became Rome's mayor after winning a runoff against a center-left candidate, capturing 67.2% of the vote Monday, the country's official ANSA news agency reported. Raggi, who will turn 38 next month, is the youngest mayor in Rome's history, ANSA reported. The news agency said associates describe the civil lawyer as "precise, determined, and a stickler for detail." Raggi acknowledged the gender significance of her victory in a post on a party blog. "The first thing I would say ... is that finally Rome will have a female mayor," she wrote. At a time "in which equal opportunities are still a pipe dream," she hailed the result as "the first sign of the profound change that we are bringing to this country." Raggi's victory was part of a wider sweep by the M5S, which saw the party win the mayoralty in 19 out of the 20 towns and cities where it put up candidates, ANSA reported. Comedian and blogger Beppe Grillo founded the party in 2009. Following the wins, Grillo said M5S, which has traditionally been seen as a protest party, was ready for central government. "This is just the beginning," he said, the agency reported. "It's our turn now." 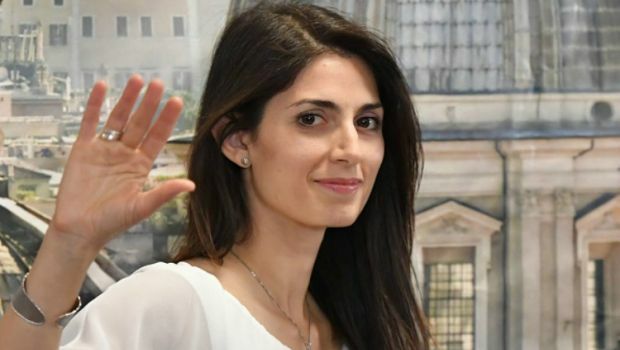 Raggi was introduced to the party in 2011 by her husband and fellow member, radio director Andrea Severini, with whom she has a 7-year-old son, Matteo, ANSA reported. Raggi campaigned on a platform of addressing the Italian capital's enduring issues, from infrastructure to corruption. Besides vowing to clean up City Hall, she promised to take on issues from housing to recycling and waste management to public transport -- calling for the creation of more cycling lanes to tackle the city's notorious traffic problems. Critics have pointed to her relative lack of experience as a potential shortcoming. Raggi's political experience is limited to a few years on Rome's City Council.